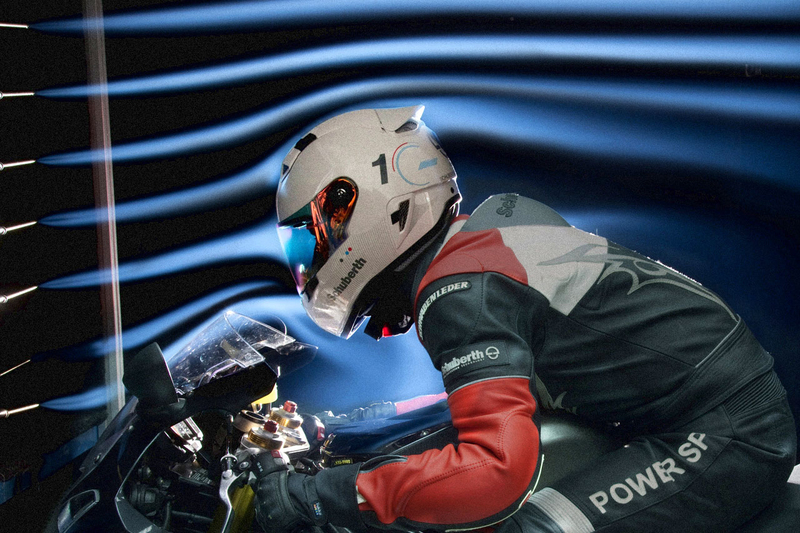 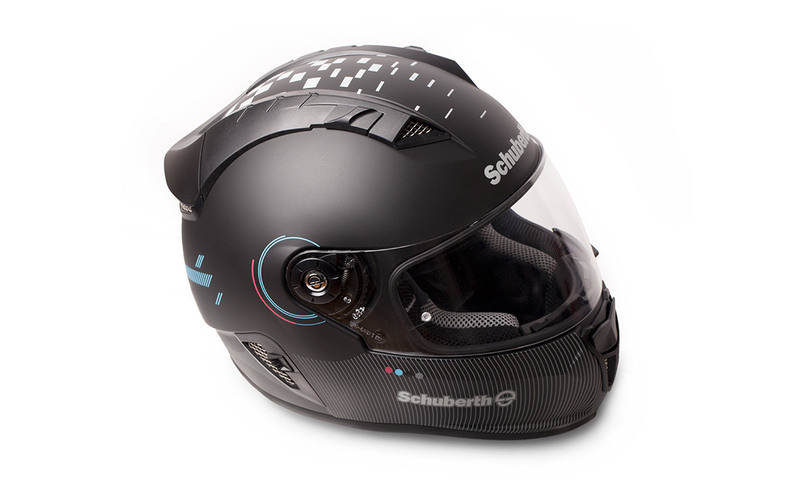 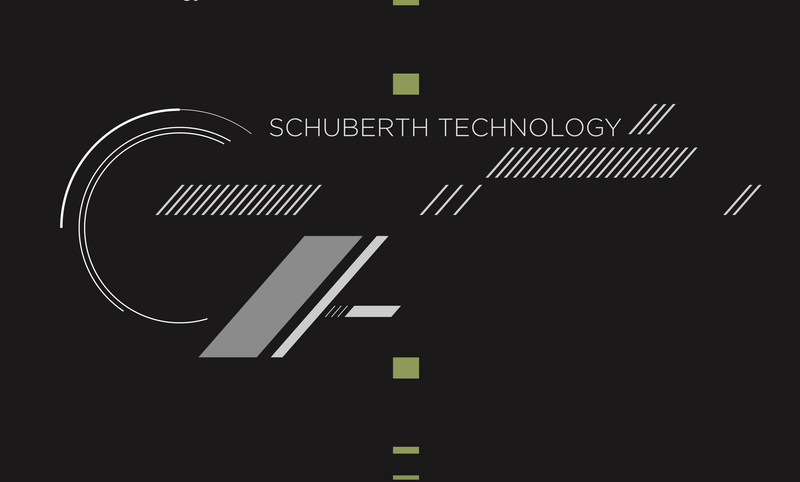 Schuberth is one of the world's leading race helmet manufacturers. 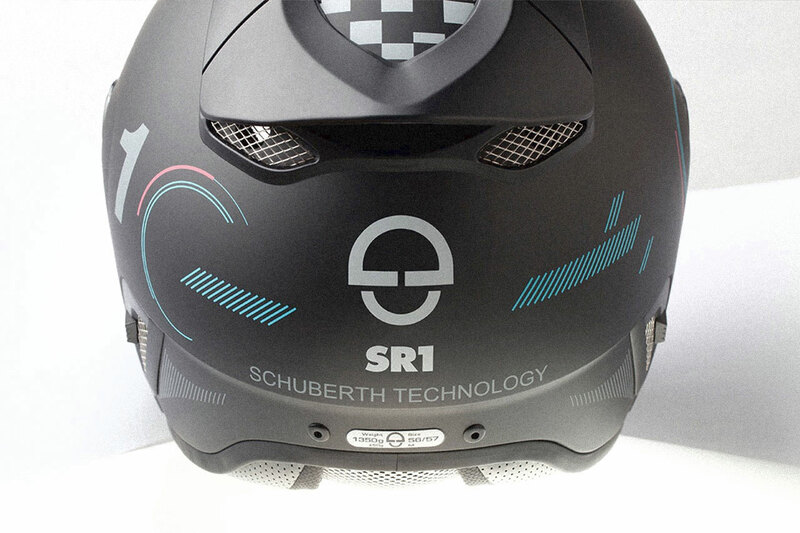 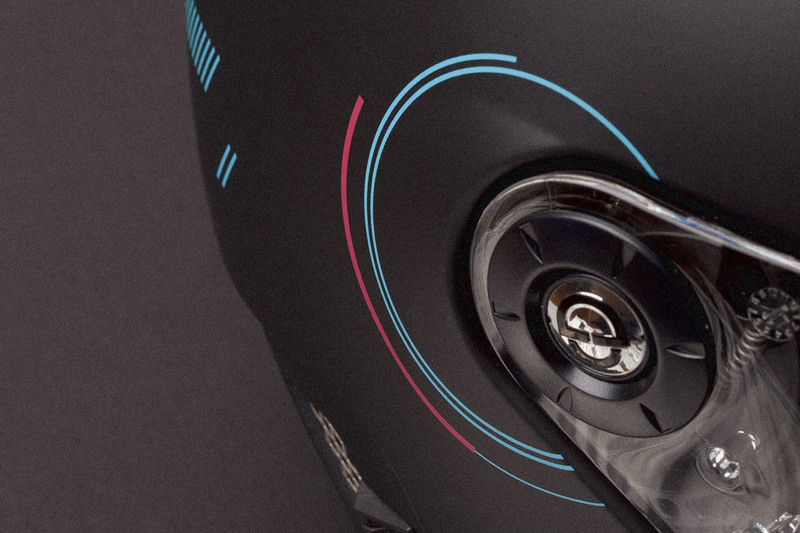 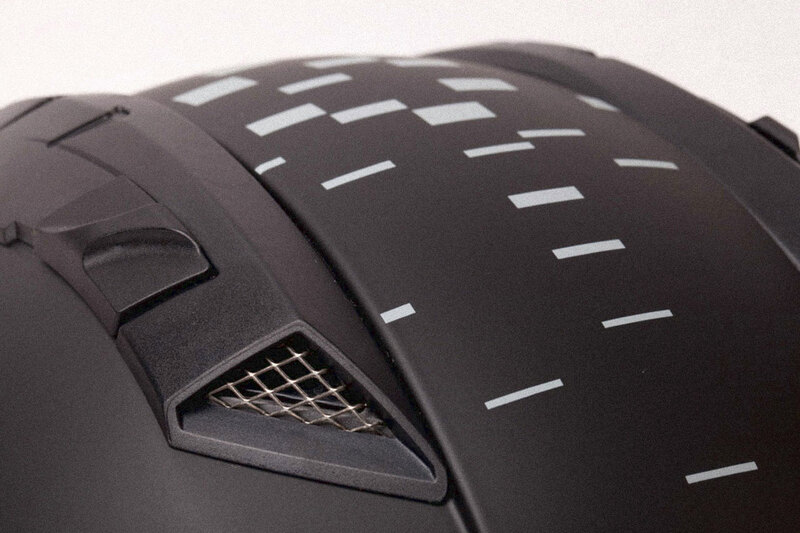 For this helmet, various aspects of speed and wind tunnel technology are integrated. 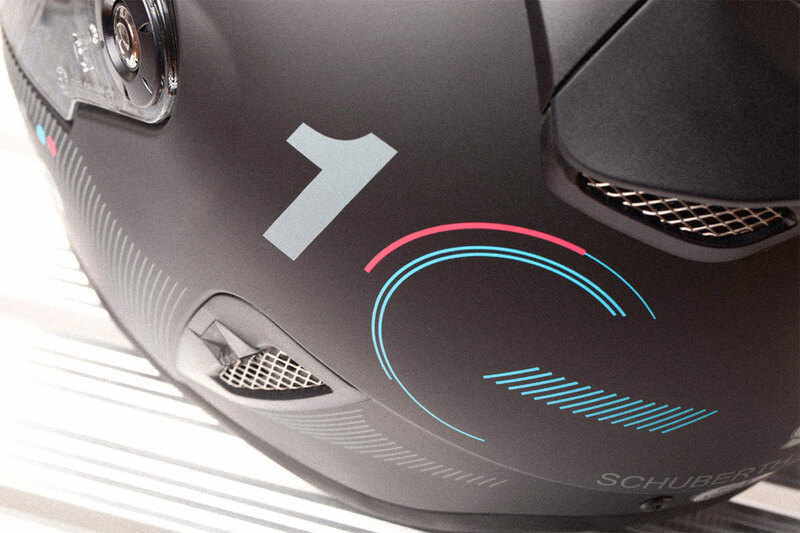 Typography was combined with the iconic checkered racing flag and so the disintegrating pattern is meant to evoke the effects of air moving past a solid object.